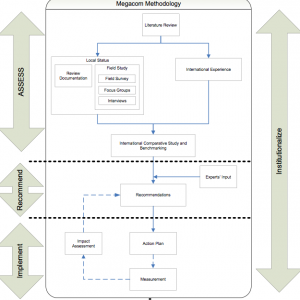 Megacom has developed two methodologies in delivering its consultation services; the first methodology is called “ARII”. The initials stand for Assess, Recommend, Implement and Institutionalise. The second is “IDM”, or the Industry/Discipline Mixture methodology.